Partial eclipse of the Moon June 4. Venus is lost in the twilight, then on the 6th crosses the suns disk in a historic transit, not to be repeated until 2117. 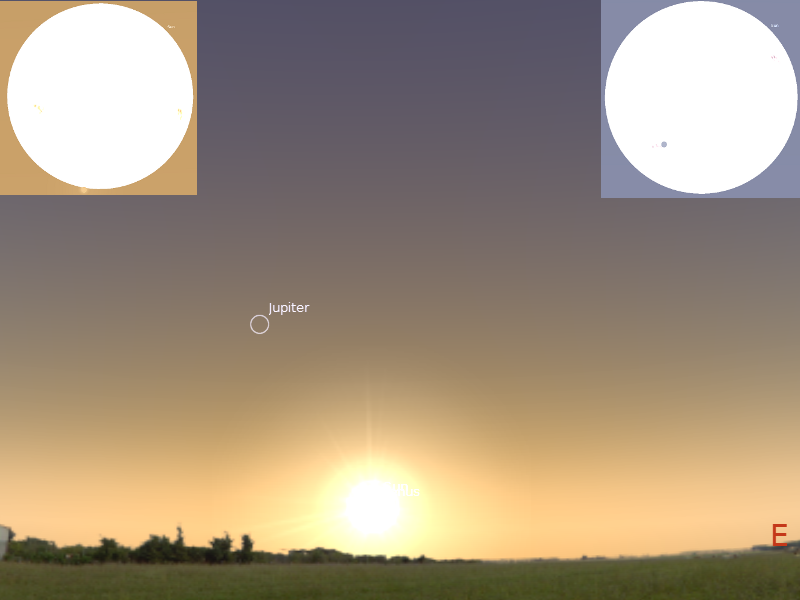 Venus reappears low in the morning sky near the Hyades and Aldebaran. Venus is close to the crescent Moon on the 18th. Jupiter is low in the morning sky, on the 17th the crescent Moon and Jupiter are close. Mars is close to the Moon on the 26th. Saturn is close to the Moon on the 1st and 28th. On the 28th the Moon is very close to the bright star Spica. 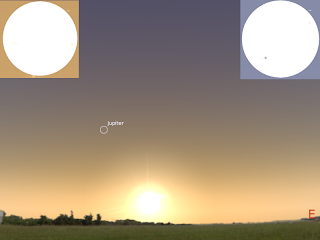 Mercury enters the evening sky, on the 21st Mercury and the thin crescent Moon are close.